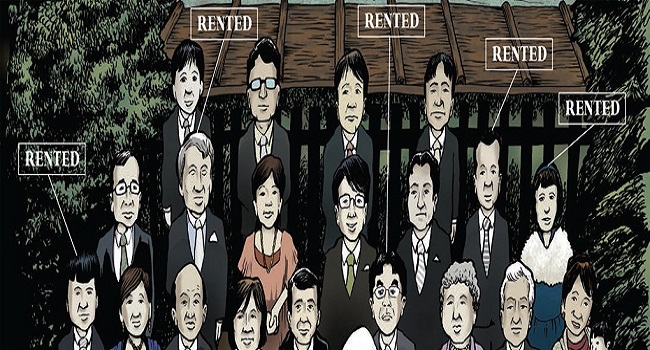 Hot Docs Review: Rent A Family Inc.
Director Kaspar Astrup Schröder came up with the idea for Rent A Family Inc. on one of his many trips to Japan. He was looking through the classifieds and noticed that unusual items were available for rent. These items not only included dogs that could be rented for an hour, but a section for renting people as well. Intrigued, Schröder contacted Ryuichi Ichinokawa who owns a business called I Want To Cheer You Up Ltd. Running the company only though his laptop and cell phone, Ryuichi rents himself out as a father, husband, boss, and colleague. He will even go as far as getting a group together to serve as one side of a family for weddings. While comfortable pretending to be a part of other people’s lives, Ryuichi, a father of two boys, does not have a great relationship with his own family. Living in small cramped quarters outside of Toyko, Father’s Day goes by each year unnoticed while Mother’s Day is a big deal in the household. Ryuichi’s family has no knowledge, and shows little interest in finding out, about his business. His wife, who hardly speaks to Ryuichi anymore, does not care what he does as long as he brings home money to support the family. The only affection that Ryuichi gets at home is from the family dog Chappi. Schröder’s film documents four specific I Want To Cheer You Up assignments to show how Ryuichi uses his work to combat the loneliness, and suicidal thoughts, that his family life has caused. In the first assignment Ryuichi plays the new husband of a woman that wants her ex to pay child support. The woman’s ex had always refused to do so in the past, as he did not want to give up control of how the funds were spent. However, Ryuichi is able to point out to the man that the children’s well being is what is really important. This results in the ex agreeing to let the woman take control of the kids’ finances. The most elaborate job comes when Ryuichi must somehow fill a bride’s side of a wedding. This provides one of the many highlights in the film as the troupe Ryucihi pulls together attempts to get their names and backgrounds straight. The surprising aspect of this is not that the wedding goes off with only a few minor hitches, but that troupe is genuinely moved by the ceremony. Several of the actors openly cry in earnest at the event. Rent A Family Inc. is a unique look into Japanese culture. 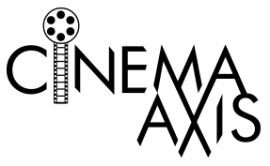 The film explores the need for some individuals to seek approval from others. There is also an underlying tone in Schröder’s film regarding how people are aware that a situation, like a marriage for example, is broken; but choose to live with the problem rather than attempt to fix it. Rent A Family Inc. a film that I can recommend.